Patricia is an Advocate of the High Court of Kenya who is always looking for a higher challenge, particularly in real estate, corporate and commercial law practice. She understands clients’ needs and strategic objectives, and has the ability to meet those objectives by providing balanced and pragmatic solutions rooted in the law. 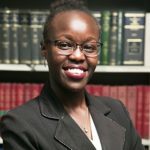 She holds a Bachelor of Laws (LL.B) degree with honours from the University of Nairobi as well as a Post-Graduate Diploma from the Kenya School of Law. 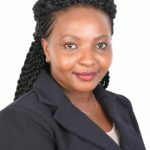 She is a licensed Patent Agent before the Kenya Industrial Property Institute and a member of the Law Society of Kenya. She is currently undertaking a Master of Laws (LL.M) degree in International Financial Law and Regulation at Strathmore University. Robert is an associate in McKay’s Litigation, Dispute Resolution and Debt Management department. He is experienced in court and tribunals related matters of all nature. He is an agile litigation advocate who is attentive to detail, apt in responding to urgent court matters, perfect in drafting of pleadings and other court papers, concise in addressing complex legal issues and possesses considerable knowledge in appeals and appellate procedures. 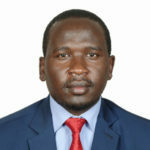 He also boasts of in-depth knowledge in complex commercial litigation, family law and intellectual property law. Alice is a trainee Advocate assigned to the Conveyancing and Company Secretarial Department. She holds a Bachelor of Laws Degree from Moi University and a Post Graduate Diploma from the Kenya School of Law. She has extensively trained in all areas of law particularly Conveyancing, Company Secretarial, Commercial and Litigation Law. She is hardworking,diligent, a team player and committed to her work. You can also see more information about our partners or support staff.